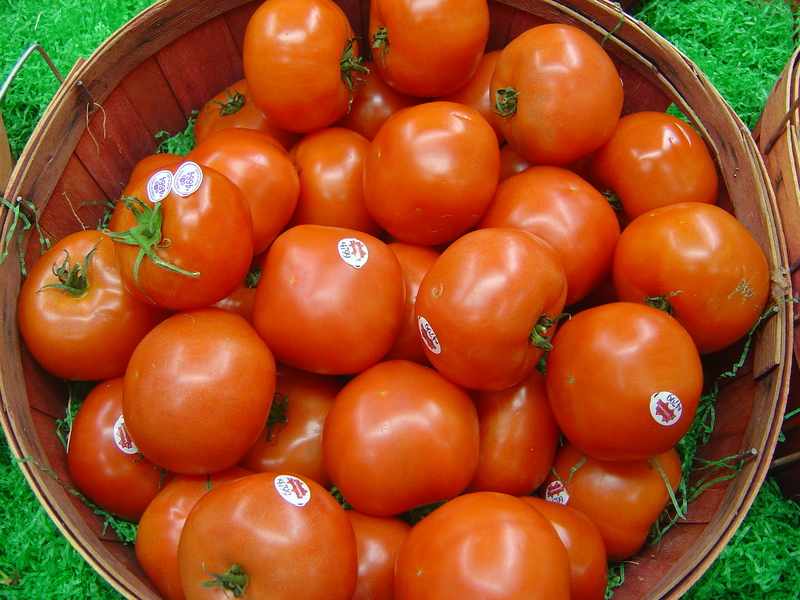 A bushel of fresh tomatoes… Mmm Mmm! It’s late spring and the weather is warming nicely! The flowers on trees are blooming, the sun is shining, and beautiful fresh produce of all colors is making its way to your local farmers’ markets. Earlier this month, the Headhouse Farmers’ Market opened at 2nd and Lombard streets here in Philadelphia. The tables were brimming with colorful Swiss chard, strawberries, asparagus, and a summer favorite, tomatoes! One of our preferred summer treats for fresh tomatoes is salsa – hot or mild, it doesn’t matter. Just the thought of delicious tomatoes, onions, pepper, and cilantro has us reaching for the nearest bag of chips in no time. But don’t rush off to the store just yet! This week, we’ll show you how easy it is to make fresh salsa. Once you’ve made it yourself, you’ll swear off the processed stuff for good. The ingredients for salsa are simple, but the cutting-intensive process can be pretty tedious. You don’t want to spend 20 minutes at the cutting board creating your afternoon snack! That’s where we come in. With the right tools, fresh salsa is as easy to make as it is to eat. First up, the Progressive Onion Chopper & Measure Box. Just cut an onion in half, place it flat-side-down onto the grid of blades, and push down on the top handle. In seconds you’ve got perfectly cubed onion pieces for your salsa. This tool is a lifesaver if you’re like us and end up having a crying fit in the kitchen every time you need to dice some onions. Don’t be fooled by the name! 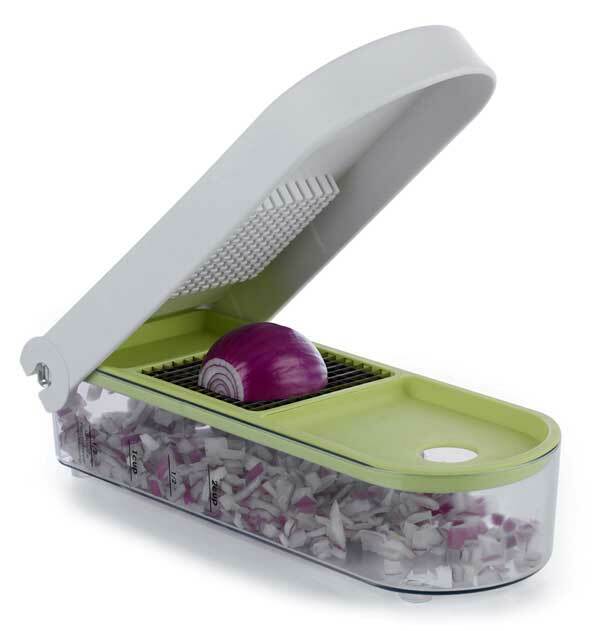 You can also use the onion chopper to dice cored peppers, tomatoes, and similar fruits and veggies. And you can use the catcher box to mix your salsa up! You can’t have just onions, of course. Any self-respecting salsa is going to have some sort of pepper. But if you’ve ever made the mistake of trying to core a jalapeno or habenero pepper with your bare hands, you know that stinging pain after you unintentionally wipe the sweat from your brow. Ouch! 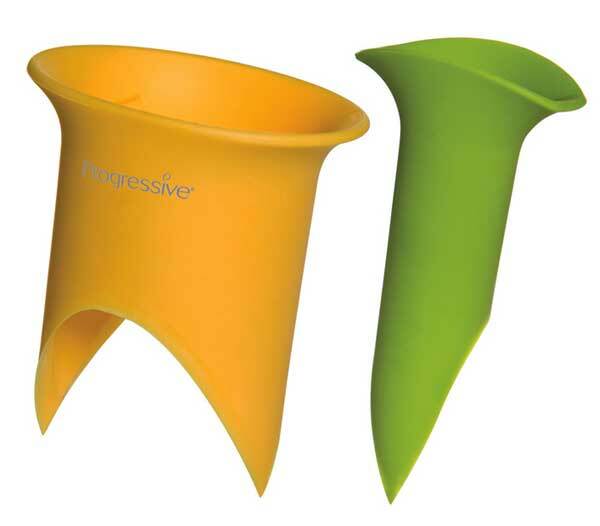 Progressive’s Pepper Corers make the job a cinch. The easy-to-use corers come with two different sizes, allowing you to quickly and easily core all types of peppers without even touching the seeds with your fingers. Finally, there’s the Chef’n Garlic Zoom. This handy little gadget (in two sizes, small and large) is not only easy, it’s pretty fun, too. Peel your garlic, and place it in the garlic zoom one or two cloves at a time. Then run the garlic zoom across your countertop a few times like a toy car. 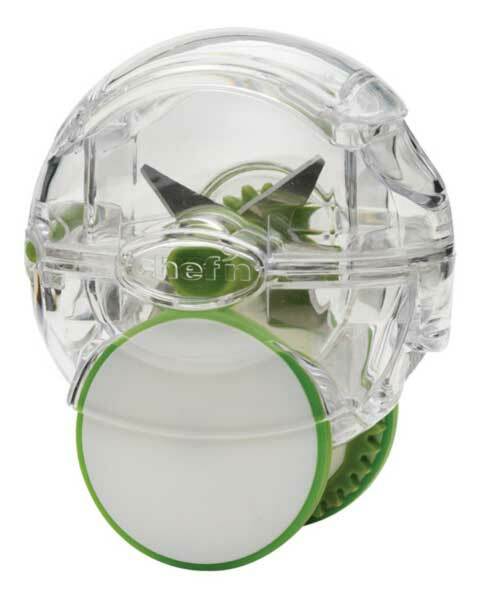 The blades inside will rotate, chopping your garlic with ease. The more you roll it, the finer the garlic will be chopped. A great way to get kids involved in the kitchen! Ready to get started? Here’s one simple recipe that can be easily customized to your personal tastes, whether you like your salsa hot enough to make you cry, or with just a hint of heat. Hotheads can add spicier peppers like habaneros or (if you’re feeling really adventurous) some bhut jolokia. Like your salsa sweet? Add more fruit – our favorite is peach and mango salsa! If you’re local, stop by the store this Saturday from 11 to 3 – friend of the store Sue will be here to show you first-hand just how fun and easy making fresh salsa can be. If free food can’t entice you, we’ll have a whole slew of free stuff, too! The first 20 customers to purchase a Progressive Onion Chopper will get to choose from a selection of free Progressive items. We’ll also be giving away small Garlic Zooms to the first twenty customers who purchase the large version. So come on down to the Italian Market and check it out!